In order to protect yourself from online snooping and access restricted content anywhere in the world, you should definitely install a VPN. The question, however, remains – how to choose the best VPN provider? If you are looking for an extra safe, super-fast VPN, ExpressVPN might be a good solution for you. In addition to being one of the most popular providers, ExpressVPN can also boast great servers. VPN servers are computers located in different places; for example, ExpressVPN servers are located in 94 world countries at the moment. When you’re using the Internet, your IP address, which is the address of your computer or smartphone, is visible online. ExpressVPN servers enable you to browse the Internet anonymously by masking your IP address. This way, you might appear online like someone from Panama although you’re sitting in your living room in Ohio. If you want to open geographically restricted websites, then you need to choose a server located in a country that doesn’t have similar restrictions. 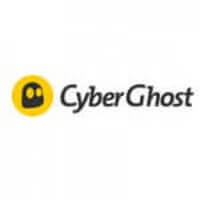 On the other hand, if you only want to browse the Internet privately and don’t need to unblock certain web pages, then make sure you opt for a server that’s close to you. That way, the speed of your connection won’t be jeopardized. ExpressVPN offers an outstanding number of servers in order to provide the best service for its users. You can switch between ExpressVPN servers as many times as you want, so use this advantage to find a server that works best for you. The ExpressVPN app can recommend servers for you according to 3 crucial points: customer usage, connection success rate, and speed. Therefore, you always have a list of the best ExpressVPN servers at hand. If you’ve discovered a few ExpressVPN servers that you particularly like, you can keep a list of your favorites. There’s also a list of all ExpressVPN servers, which can help you choose a good server for your current needs. ExpressVPN servers also come with the Smart Location feature, which allows you to choose an ExpressVPN server in accordance with your location. 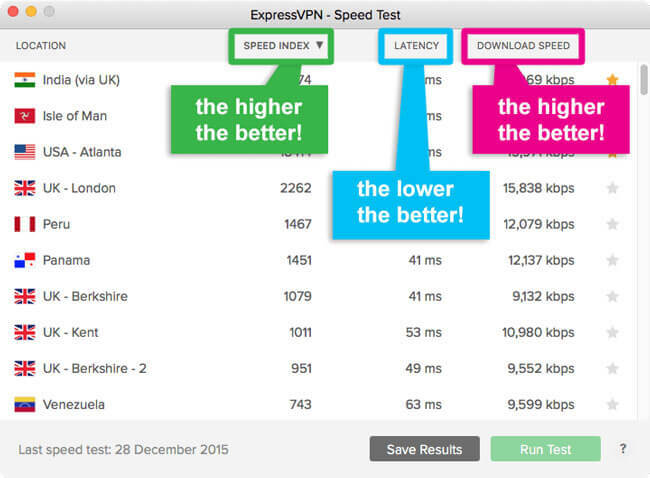 Finally, for everyone eager to access the fastest server every time, there’s a special ExpressVPN speed test. Run the test and check your Internet connection speed. Switch between servers and run it again. You can do this as many times you want – until you find an ExpressVPN server that is just right for you. Users of ExpressVPN have access to over 1700 ExpressVPN servers in 94 countries all around the world. 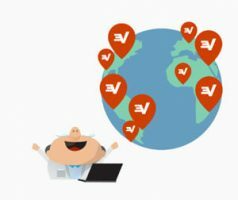 ExpressVPN servers are placed in 145 different locations. If your goal is to bypass geographical restrictions and access Facebook, YouTube or Twitter, use a server located in North America or Europe. Also, always opt for an ExpressVPN server that’s close to you because you don’t want it to slow down your Internet connection. ExpressVPN servers are waiting for you all over the US, Europe, and the Middle East, as well as in South America, Asia, Africa, and Australia. To find out more about ExpressVPN, check out our comprehensive ExpressVPN review.